Lansallos is one of several secluded coves that nestle among the cliffs between Polperro and Polruan. This area of South East Cornwall is perfect for summer bathing and snorkelling and for winter walks. All of these beaches require some fairly strenuous walking, so they are generally quieter than those with facilities. 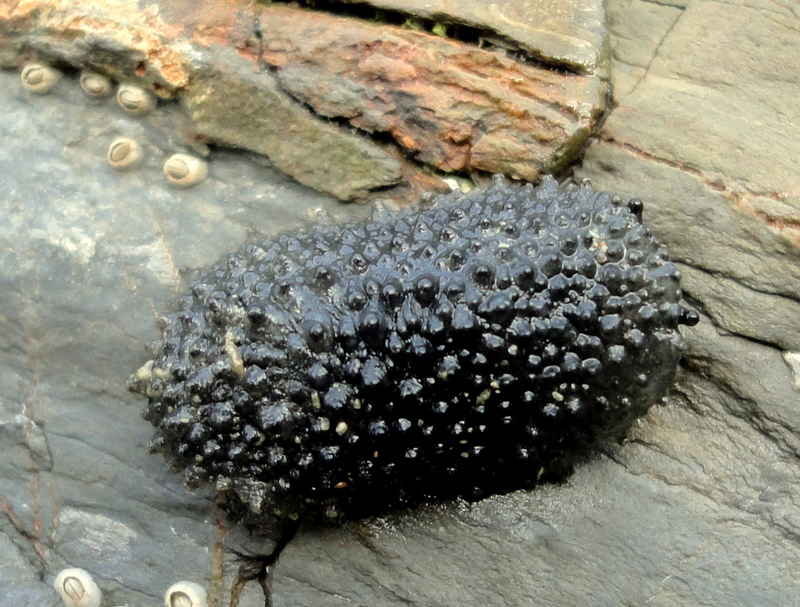 Look out for interesting items on the strand line and for some beautiful creatures in the rock pools. These beaches face the prevailing winds and sadly can accumulate rubbish – so please take your litter home with you and think about bringing a bag along to pick up any marine litter you find there. 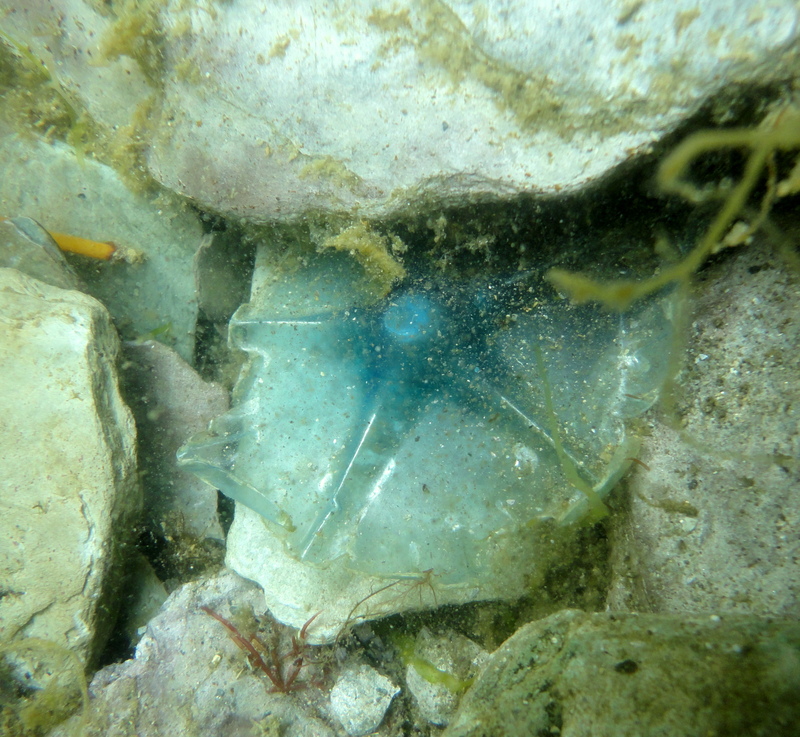 Not a new species of starfish – a bit of plastic bottle. Please take litter home. There is a small bus – the 481 from Polruan to Looe – which stops in Lansallos village. Check the latest timetables before travelling. You can also walk from Polperro or Polruan. If you’re coming by car, there’s a National Trust car park in the village of Lansallos near Polruan, from which an easy walk winds down to the beach, with a footpath starting just below the church and cutting through some sheltered woods before emerging above the cliffs. If you fancy walking further, carry on to Lantivet or Lantic bay. There are other car parks above Lantivet and Lantic – see the National Trust website for further details. The beaches in this area are accessible by footpath only and do not have facilities or a lifeguard. All facilities can be found in the nearby harbour villages of Polperro and Polruan, including some great pubs and cafes and some local shops. There are some public toilets in the National Trust car park at Frogmore – a ten minute walk from Lantivet Bay. 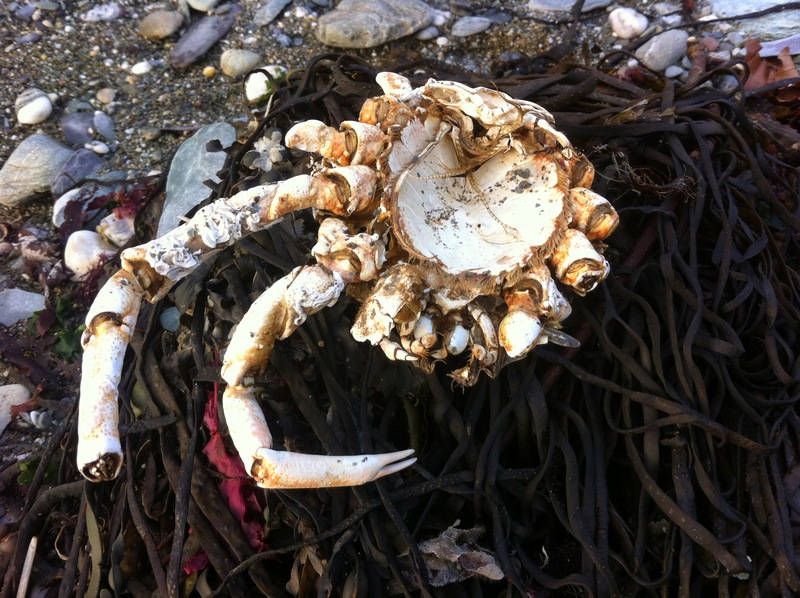 These beaches are exposed to the winds and in winter you can find all sorts of treasures on the shore line, from cuttlefish bones to spider crab shells and ray egg cases. 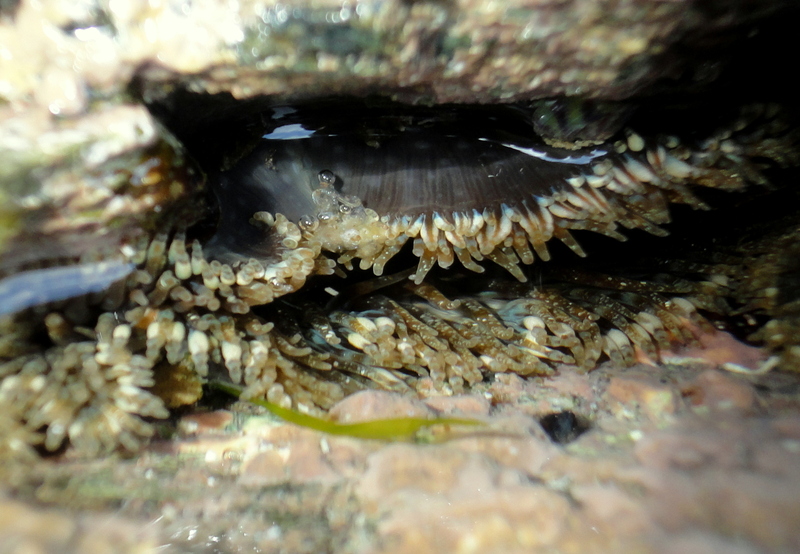 In the summer, search pools and the cliff bases at the edges of the bay for anemones, the giant woodlouse-like sea slaters and colonies of celtic sea slugs. 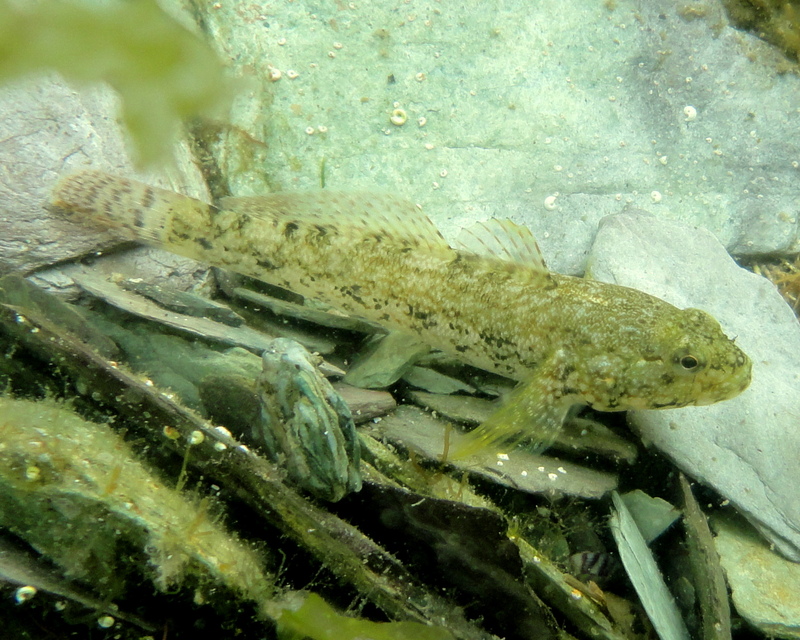 Take time to look closely among the weeds of sheltered pools and you’ll be rewarded as you spot more and more creatures. Prawns, gobies and small crabs lurk among the pink coral weed that lines the rocks. 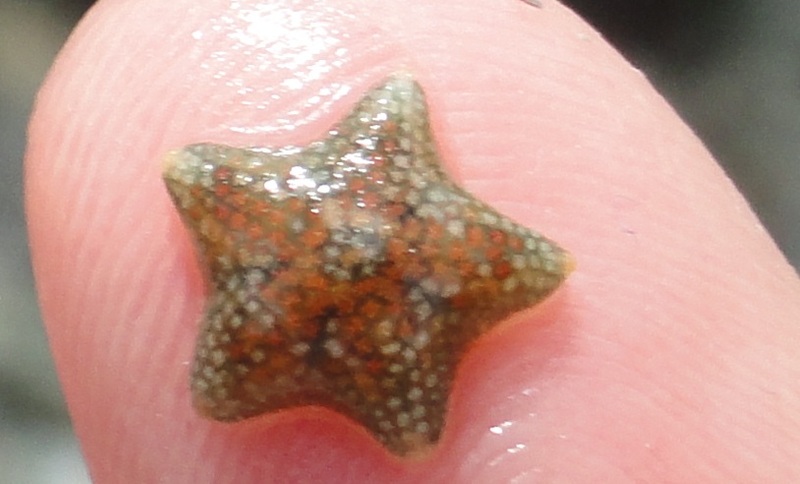 In one local pool, I’ve even found a colony of the minuscule but gloriously patterned starfish Asterina phylactica. Their kaleidoscope patterns are best viewed through a good hand lens.